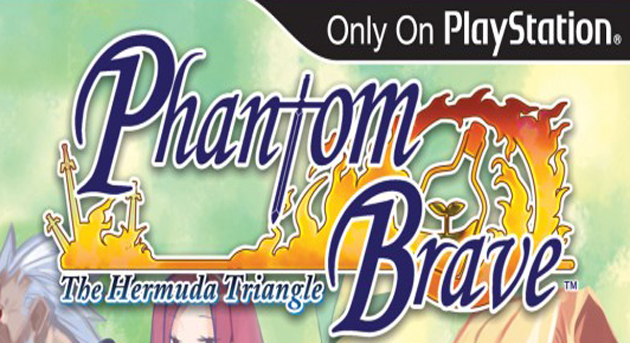 Phantom Brave: The Hermuda Triangle brings the long-running Phantom Brave series to the PlayStation Portable. It’s packed with single-player content and even includes an entirely new campaign titled “Marona’s Story” that delves more deeply into the Phantom Brave lore. The game provides dozens of hours of deep, stat-balancing strategy RPG goodness. If that’s your bag, then this is a must buy, as it is the most robust iteration of the series. If not, it’s still worth checking out if you’re looking for a fresh twist on SRPG style combat. Player beware: This game is not easy. There will be backtracking and grinding to progress at some points, and the unforgiving Game Overs will make you think thrice before immediately retrying. The story is decent and easy to follow along. It is told in an episodic structure; each episode opens up new islands which contain new missions. You play as Marona, a naiive Chroma who can see phantoms. Turns out your main companion, Ash, is a phantom because he sacrificed his life to save yours. NPCs enlist Marona as a mercenary of sorts, since she’s able to summon phantoms and defeat enemies. This summoning, called “confining” on the battlefield, is the most novel part of Phantom Brave. The relationship between Marona and Ash makes the story interesting. Many NPCs are weirded out by the fact that Marona can see phantoms, and thus treat her like a freak. You see, Marona is constantly second-guessing herself and her abilities, but Ash teaches her overtime to not feel awkward about charging people money for her services and to feel self-assured that she has a gift rather than a curse. A cast of interesting characters add twists to the plot throughout, but the combat is really where Phantom Brave shines. If you’re not familiar with the Phantom Brave series, allow me to break down its gridless SRPG combat system. You begin each battle with only Marona to control. 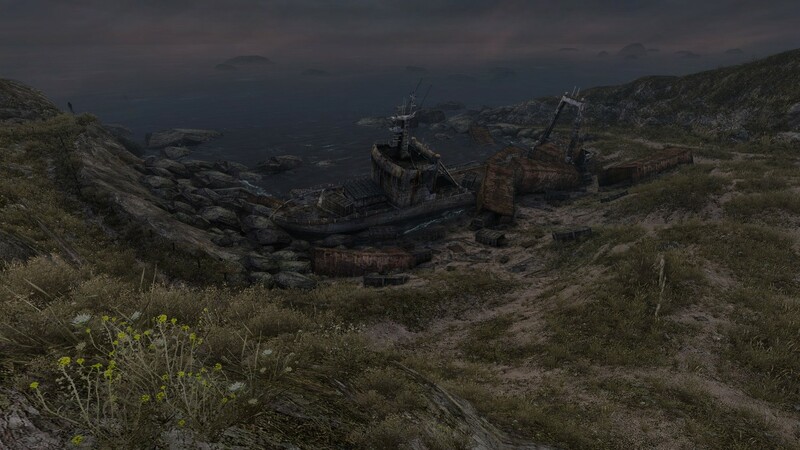 Each battlefield is littered with environmental objects such as trees, rocks, potted plants, and much, much more. As Marona, you must confine a phantom to an object. Every object alters stats in different ways. Some will stunt ATK and HP but boost INT while others will raise SPD and DEF. Again, every object alters stats differently, so the ‘strategy’ in strategy role-playing game comes in the form of carefully confining phantoms to do your bidding. Once confined, a phantom only lasts for a few turns, so make moves count! There’s a set distance that each character can move and act within. In retrospect, the combat system reminds me a bit of Valkyria Chronicles’s. Lifting and throwing are pivitol actions, as in many other NIS RPGs. Lifting any item will boost certain stats, and tossing enemies out of bounds will eliminate them in most cases. Your main base of operations is Phantom Isle. From there you can summon characters and items that appear on the island. You can interact with most of them, and many act as portals to staple RPG menus such as the Merchant (to buy new items), the Healer (to heal party members and items), and the Blacksmith (to upgrade weapons). As you progress through the story, you unlock more classes of characters to summon. Some of them open up a load of interesting features. One such class is the Fusionist, who will combine items and characters for you. To be honest, I didn’t make much use of the Fusionist since I knew that road would lead to dozens of more hours of stat-balancing gameplay. I wasn’t quite ready to embark on that journey. Another cool class is the Titlist, who gives characters titles that alter their core stats. Titles can be attained by completing random dungeons, which are in turn created by Monks. Random dungeons are a bit risky because if your monk dies, you can’t return to the overworld; you’re locked into the set number of levels in that particular dungeon. Your healer won’t have the ability to resurrect fallen allies until many hours into the game, so you may want to put off rangeons until later on. One of the better features of the game is its fully voiced cast, including a narrator who helps tell the story. The voiceover work is top-notch, and not as obnoxious as it is in ZHP. I was surprised at how average the rest of the music in the game is, but only because I have high expectations for NIS games in that category. One of my other expectations made an appearance in a huge, deterring way. I’m speaking, of course, about grinding. I can deal with a moderate amount of grinding in an RPG, and moreso if I like it, but I fell into a trap 15 hours or so into the game. There’s only one currency in the game: Bol. Bol is accrued by clearing missions and selling items. It’s spent, however, for nearly everything. If a couple of your party members die in battle, it’ll cost you a bunch of Bol to heal them. If you leave an unconscious ally dead for too long, you’ll have to spend more Bol and sacrifice an item to resurrect him. Equipment obviously costs Bol, so any sort of outfitting will put you in the hole. Creating random dungeons to acquire titles, the really cool NPC features I mentioned above, costs Bol. And if you want the title to be worth a damn, the corresponding dungeon is going to cost a ton. I lost a lot of characters one battle and had to spend hours upon hours replaying former missions to amass enough Bol to resurrect enough allies and repair their equipment to barely scrape by the next mission. Basically, my progress was constantly hindered by the fact that my wallet wasn’t fat, which was only true because any sort of progress dented said theoretical wallet. It’s a debilitating cycle that caused me to put Phantom Brave down for good before completing the entire campaign. All in all, Phantom Brave on the PSP is a fun experience. If you can somehow avoid the deeply unsatisfying Bol farming cycle, you’ll drop many hours into a solid portable RPG. The voice acting is great, the combat system is fresh, and there’s a lot of game to be played if it keeps your interest. Fans of Phantom Brave, or any other NIS RPG for that matter, will love this game. Those with a fear of grinding, though, need not apply.